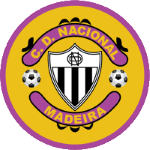 The club of Jhonder Cadiz, Vitoria Setubal, presently holds third position in group Gr. 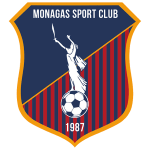 B of League Cup (Portugal) and eleventh position in Primeira Liga (Portugal). Since Jhonder Cadiz came into world in 1995, to be more precise July 29th, the forward is three years younger than Vitoria Setubal's average player. So far in the 2018/2019 season, he already competed in 32 fixtures. He stands 191cm high and thus is 10cm taller than his team on average. Jhonder Cadiz reached the 89 appearances milestone as a professionl, the last one being twelve days ago. Concerning the latest matches, his club tied in League Cup plus tied in Primeira Liga. So far in his career as football player, he was part of six clubs. 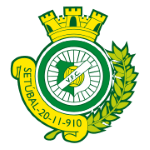 Besides Jhonder Cadiz, there are seven more forwards in Vitoria Setubal's lot: Allef Rodrigues, Valdu Te, Alex, Zequinha, Victor Veloso, Hildeberto Pereira and Frederic Mendy. 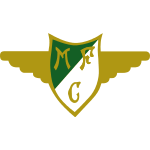 Before joining Vitoria Setubal, he was engaged in the squads of CD Nacional, Moreirense FC, CF Uniao Madeira and Caracas FC. In the recent term, he managed to find the net eight times and provided not once additional assists which accounts for 31.8% of Vitoria Setubal's goals in Primeira Liga 18/19 (Portugal). He scored an average of 0.3 goals and provided 0 assists per game so far, marking a improved performance when compared to last season, when he had 0.1 strikes and 0 assists per match. Weighing 160.94lb, Jhonder Cadiz measures 2lb less than the average player on Vitoria Setubal. Further, he also operates for Venezuela. Vitoria Setubal's number 99 is Jhonder Cadiz. His best season was Primeira Liga 18/19 (Portugal), because in this year he had his highest success in terms of both match presence and goals. In his footballer career, a total of twelve cards were ascribed to Jhonder Cadiz. While thus obtaining an average of 1.33 cards per term, he has not even gotten any yet, for now. 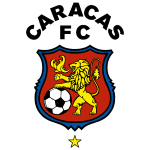 His record stay with a club is Caracas FC (Venezuela) with two years and a day. Seven months was the stubbiest period that he was contracted to a team (Moreirense FC from Portugal) While being substituted more in than out this season, we can observe that this trend came from last season. Moreover, Jhonder Cadiz shows 22 out and 38 in substitutions in total.